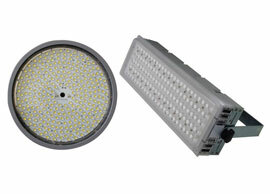 WEGI is an LED lighting manufacturing company. It specializes in development, manufacture, sales and services of LED-applied lighting products. It has 100 products in total including LED floodlights (48 models: 30~200W), LED downlights (6-inch, 8-inch 32 models: 20 ~120W), LED spotlights (32 models:16~33W), multi-downlights (36 type : 24~ 90W), high bay lights(8 types: 100 ~ 200W), and DC lights (8 models: 12V, 24V). WEGI has tirelessly strived to meet the needs of its customers and society in large under its company value of promoting consumer and public interest. It has continuously put its greatest efforts into research and development of high efficiency and affordably priced products. WEGI is providing high-efficient lighting at reasonable prices to its customers and is looking to contribute to combating energy crises worldwide. The company looks forward to providing you with the best of our products and services to meet your needs. LED floodlight from the company is produced to replace the existing floodlight classified as 48 types according to installation shape (exposured), lens type (spreaded, focused), light color (3000k~7000k), enclosure color (white, black) and W (30W~200W). It is used for building walls, tree lights, sculptures, bridge lights, parks, and signs. Filed Under: KOTRA Tagged With: DC lights, high bay lights, LED downlights, LED floodlight, LED spotlights, LED-applied lighting, multi-downlights, WEGI Co. Ltd.
[INQ. NO. 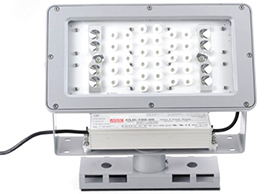 1412E16] Navery Korea’s LED floodlight is one of the LED lights leading the company’s moves toward expanding its global market presence with many competitive features. Boasting a minimum lifespan of 50,000 hours, the LED floodlight can save energy with high efficiency with the help of the high-efficiency converter it manufactures. 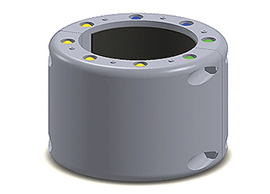 With the built-in fixture mechanism, it allows rotation and angle adjustment. It is especially designed to focus light on a specific location (such as a pedestrian crossing) depending on the lens’ design. It basically employs patented design using an asymmetric reflector and condensing lens. Founded in 2009, Navery Korea has consistently developed and manufactured next-generation LED lighting products with features of eco-friendly, high energy efficiency through massive investments in R&D. Now Navery Korea seeks to ways to increase its brand awareness with the help of its own creative, aggressive approaches, partially in collaboration with a local governmental body. For the year of 2014, Navery Korea is focusing its efforts for the diversification of its export destination into New Zealand, Australia, the United States, Vietnam, the Philippines, etc. to increase its exports, and the company has successfully inked an export deal with a partner in Australia in September. [INQ. NO. 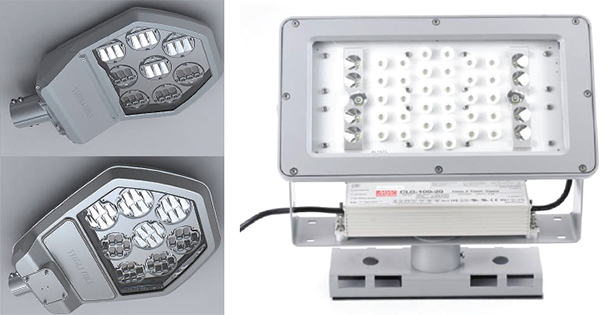 1410E02] The LED floodlight developed and manufactured by Departlight exceeds the limitation of only enabling cross-sectional floodlighting and to only part of the section, and is designed to floodlight the entire sections of the pillar by mounting in an up-down position into the circular shape. The entire structure is circular, but the lamp module is separated from the existing all-in-one type to a two-way home structure, which enables individual installation and exchange. If part of the LED module is damaged, only the damaged module can be exchanged, enabling reduction of maintenance costs and providing the ability to control the power and the lighting individually. The multi-layer method of super condensing lens and extended type lens are applied to control the angle of lighting. Departlight specializes in LED lighting for landscape, indoor and outdoor lighting, and applies a lighting one-stop service of enabling from R&D to production and construction, which reduces costs, and improves efficiency. Through continuous efforts on R&D various products with high efficiency and long lifespan are developed to meet the requirements of the customers.